Madison Square Park is not to be confused with Madison Square Garden a few blocks west of Broadway. Madison Square Garden equals NBA and basketball with concerts and shows thrown in the mix. 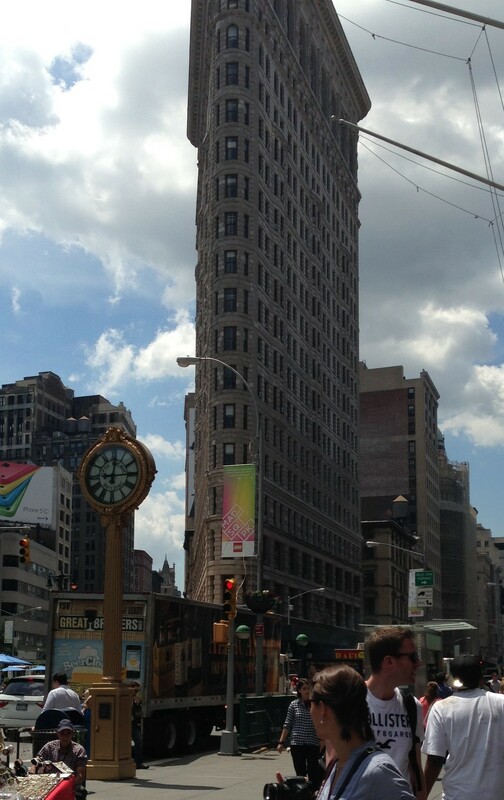 Madison Square Park is right by Broadway and facing the wonderful building, Flatiron. It is great what they have been doing around here the past few years. Broadway includes biking paths and many small public places where people can sit and relax and have their lunch at small cafe tables. Suddenly you start feeling a small buzz coming from Seventh Avenue's fashion district, as shops offering fashion accessories come plentiful around here. Not really up to my taste as it is a lot of plastic bling bling, but they indicate that the fashion buzz is nearby.